Ordained as a novice at 16 and a monk at the age of 22. 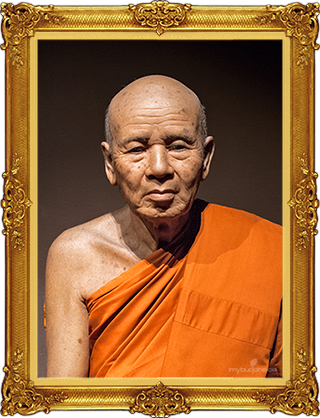 A disciple of Luang Pu Mun Bhuridatto, he resided in all major regions of the country. He is known for his generosity and love all human and animal forms.